BETHLEHEM (Ma’an) — A Norwegian physician who has volunteered in the medical field in the Gaza Strip repeatedly in recent years has been banned by Israel from ever returning. 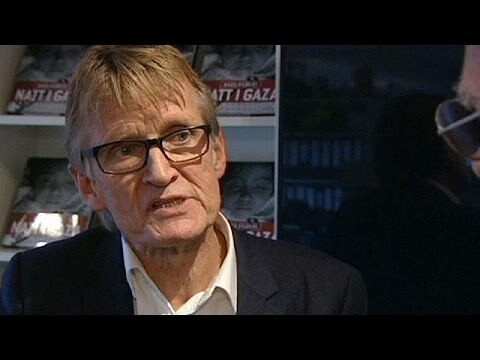 Dr. Mads Gilbert, who most recently spent time working in Gaza during Israel’s massive summer assault that left nearly 2,200 dead, has revealed that he was denied entry in October when he tried to re-enter the besieged coastal enclave through the Erez crossing. The Israeli foreign ministry has confirmed the ban, calling Dr. Gilbert a “Jekyll and Hyde” figure, apparently for his political activism on behalf of the Palestinian cause. Gilbert has been a vocal critic of Israeli policy against Palestinians, particularly in the Gaza Strip. “This is not about me. This is about Israel denying the Palestinian people in Gaza international support,” Gilbert told The Independent. “I’ve done nothing wrong. The truth on the ground is very inconvenient for Israel. Anyone who conveys that truth is unwanted,” he added. Although Israeli authorities claim that Gaza is not occupied, they control the movement of both people and goods in and out of the Strip. Gilbert has blamed the eight-year long Israeli siege for crippling Gaza’s economy and social welfare — in particular its medical facilities — and has repeatedly called upon Israeli authorities to lift the blockade. Upon returning to his hometown of Tromsø in Norway after serving in Gaza over the summer, he gave a speech comparing the Palestinian struggle to the Norwegian resistance to the Nazi occupation in World War II.